Children are great imitators. Would you like to make a difference in our world? Small acts of kindness amount to a huge difference, especially when you teach children to do service and develop compassion and charity. You are leading the way to a better future. You are wonderful if you notice and act upon people needing something. Anything can make a difference - even a smile or a hug. 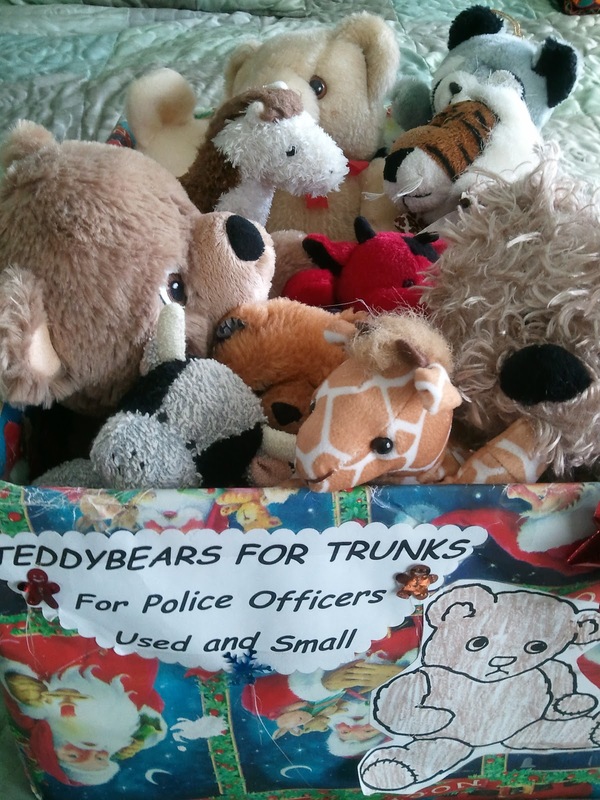 My daughter and I initiated Collect Teddy Bears for Policemen or Fire Firefighters by simply placing a box in the church foyer. Many children donated their gently used stuffed animals. Sarah had to think awhile about which stuffed animals to donate - but that is all right. She eventually donated quite a few. They went to children who were experiencing emergencies. We also made a box to collect items for nursing homes such as lap blankets, non-slip socks, hats, gloves, housecoats, bird seed and bird feeders. I had purchased some ornaments at a 75% off After-Christmas sale. The staff''s faces really brightened when I donated them and also some used decorations I wanted to pass on. Tie a lap blanket. 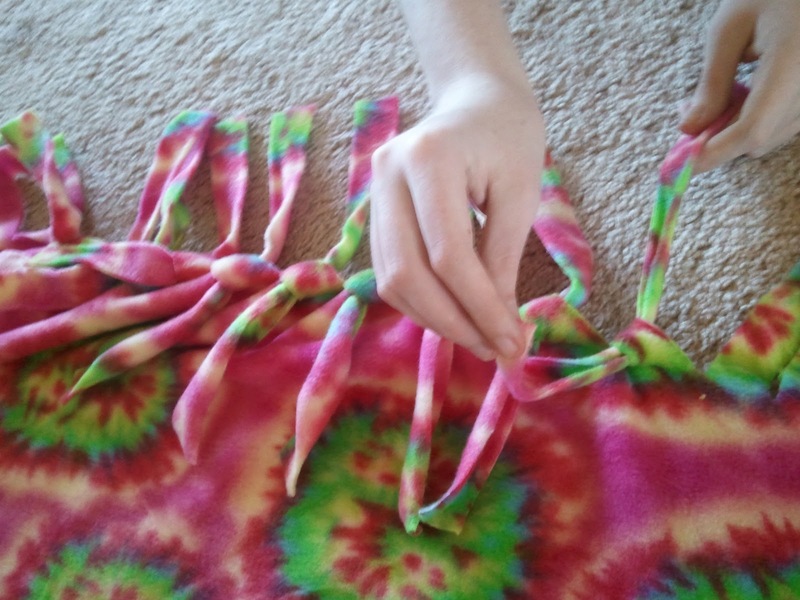 Cut strips around a flannel piece and tie adjoining strips in knots. Cut about 1"wide and 5" long. For a warmer blanket, place 2 pieces of same size flannel on top of each other. Cut them together and tie the front to the back. Sarah has made lap blankets for a boys' home, nursing homes, domestic violence shelter, and The Salvation Army. Save the Children -To view a “Save the Children” video interview with Mark Shriver and others regarding poverty in the United States, click here. For more information to help feed children in America, where 1 in 5 children live in poverty, visit this site or help them feed children in other impoverished countries. I was shocked at the poverty in the United States. Red Cross.org needs blood, money and volunteers. Operation Gratitude lists many ways we can help. Teachers are needed to have students write letters, or drawings, of appreciation and support. Soldiers like to give donated beanie babies to children in war-ravished countries. World Wildlife.org helps save animals. Operation Shoe Box - Child Christmas - See a video on how shoebox gifts affect children. Operation International Kindness - Collects school supply kits to ship internationally. A STRANGER PERFORMED AN ARK FOR ME! “Do I look that bad?” remembering how I had gulped down some of the drink and filled it to the top again. It had been a hot day at the zoo. It sure made my day and I still remember this simple act of random kindness. I don’t know who to thank – so I’ve passed it on to a stranger. 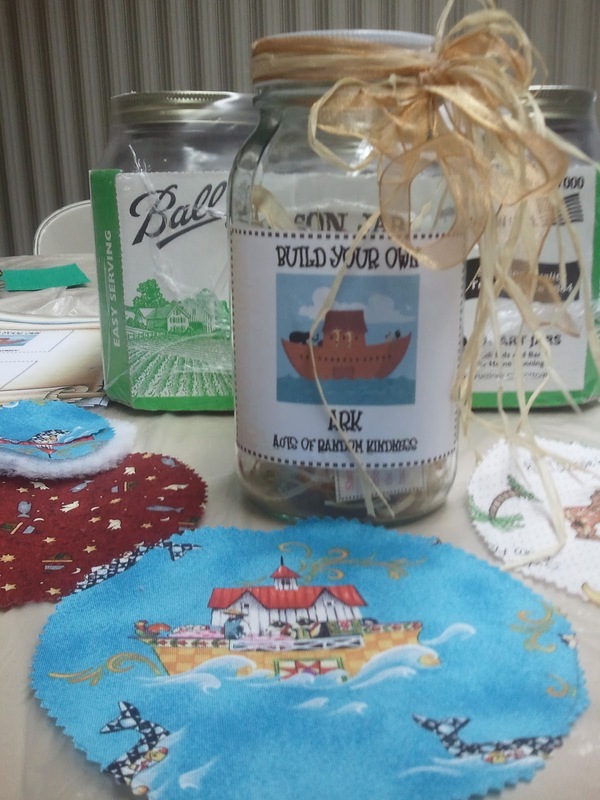 Need a gift for a teacher or parent? See Kindergarten: Tattle-Tales, Tools, Tactics, Triumphs and Tasty Treats for Teachers and Parents and to prepare your child for kindergarten: The Happy Mommy Handbook: The Ultimate How-to Guide on Keeping Your Toddlers and Preschoolers Busy, Out of Trouble and Motivated to Learn. Both are bestsellers and also available on Barnes & Noble and Kobo. The ebooks are only $3.99. We love this time of year - when everyone seems to be in the spirit of giving. Thanks for commenting! Love your blog! What an amazing post, Susan. I feel so inspired, and you have so many ideas that are new to me here. I will definitely be sharing this post later! Thank you so much Bethany! You are the one who shares so much with your free ebooks list. Amazing blog you have. Esther - that means a lot coming from you - one is who sooo creative. Thanks! :) I love this! I started with ARK over the summer, and it has been an incredible blessing to my life. I've loved seeing the smiles and the positive outcomes of such random, small acts. We really can change the world, one step at a time. Thank you so much for visiting. I LOVE your blog and so happy you're doing ARKs. It's fun and makes both parties feel great. I love this- making a difference AND using children's love of imitation to teach them the same. Wonderful. Thank you Carolyn. I really enjoy your blog - very creative ideas. What an inspiring post, Susan! I LOVE the ARK boxes and your list of resources and organizations is fantastic!!! Yes, can't wait to do the Hangout on ARKs. We'll have some great books to share too. What a beautiful post Susan! I need to do this more with Miss Possum. I try to tell her about making a difference and helping others but it just doesn't sink in. Getting them involved is perfect and that's what we'll be doing this Christmas! I'm sure little Miss Possum does her share helping animals. Such a wonderful blog you have. Thank you for visiting my blog! Have a great day. Love this! I would love for you to add it to my weekly Mom's Library Link-Up along with any other of your amazing posts. Thank you and so happy to find your amazing blog. I love linkies! Great post, with so many great ideas. Thanks for linking up to tip-toe thru tuesday. Thank you Christy. And thank you for the wonderful linky parties. Love your amazing blog. Every little thing makes a big difference. Thanks for posting and sharing. Love all of the great ideas and personal stories. Thanks for sharing. Mari - Thank you so much for visiting and for the 21 Days of Gratitude blog hop - so many inspirational ideas shared. Deb - you are the best. And your blog is simply amazing. Thank you for sharing this post. Thank you so much for sharing. I especially love the list for "Ideas for Kids ARKs" and I've already printed it off. The list has simple things that my 4 yr. old can do. :) We're currently working on some random acts of kindness this month as well. Frances - thank you for letting me link the Shoebox video on this post. Such a touching story. Love your blog. You're so welcome, and thanks for linking up the video/blog on your post! Thanks!!! Featured this on Mom's Library Link-Up. Come on over a grab a featured button and add something new this week! Whooo Hooo! Thank you for featuring this post! 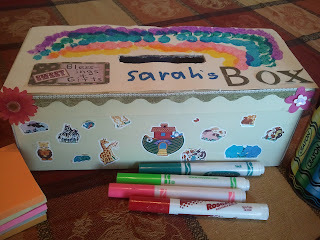 Love the Mom's Library Link Up parties and also your blog. Have a wonderful holiday season. We will definitely be using some of these ideas leading up to Christmas. Thank you for all the ideas... I really need them at the moment. Ooooh - I love your post on the snowflake cards. Beautiful. Thank you for visiting. Thank you for visiting and the compliment. I hope you have a wonderful Christmas season. Susan! I love all these ideas. I have never heard of Teddy Bears for Trunks. That is such a wonderful thing to do and it is a really good learning experience for the children who give up their toys. I will keep these in mind as I train my children to have giving hearts. Thank you so much for your heart and for sharing these unique ideas to give back and make the world a better place. Tulip - Thank you so much. I really appreciate all that you do for the blogging stratosphere - helping moms become better parents and promoting more reading and play. Thanks for visiting! This is such a great round up of wonderful causes. Thank you for putting this together! Joyce - Thank you for visiting. I LOVE your blog and wonderful attitude of taking time to play with - and enjoy - children. Have a wonderful Christmas season. I love your story of the train cap and that you are teaching your grandchildren to be kind to strangers! How wonderful!! They are lucky to have such a great grandmother!!! I am trying to teach my kids random acts of kindness concept too. If this is what results from Sandy Hook, then the people lost will be remembered and something positive from tragedy will have resulted. I see you and your family are doing RAOK too. There is much good in the world. I don't watch much news anymore - and just try and concentrate on positive happenings around our world. Thank you so much for visiting. I LOVE your amazing blog. Hi Susan, I’m Anne from Life on the Funny Farm (http://annesfunnyfarm.blogspot.com), and I’m visiting from the Kids Activities Blog Hop. This is wonderful! We try to put ARKs into practice now and then, but I've been thinking of "pushing" this within my family for like a month, using discussion time at dinner to talk about what ways we've found to pay it forward. You've given me some great ideas here! Anne - you have a very interesting blog. I voted for you on Circle of Moms. Thank you so much for visiting and commenting. I hope you have a Happy New Year! What wonderful ideas! This is a fantastic post and something we could all benefit from if we did just a little. Thank you very much Suzanne. A little goes a long way - even smiles.